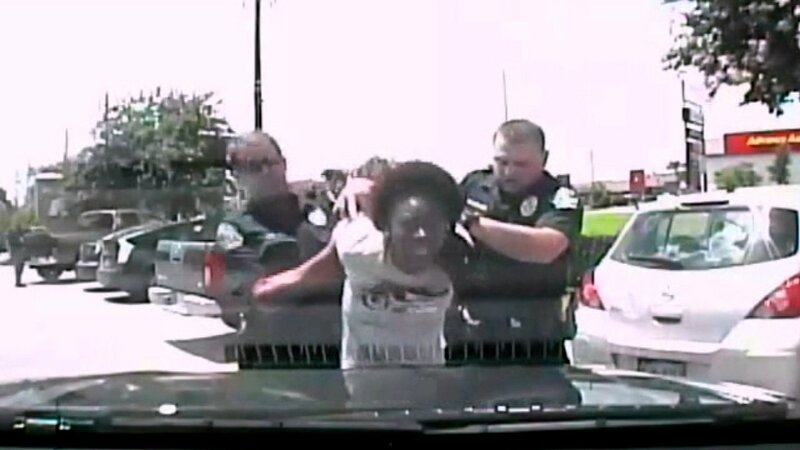 A white Texas police officer is under investigation for violently throwing an African American teacher to the ground during a traffic stop. The incident happened a year ago. Now police have issued a public apology to that teacher. Breaion king, 26, says she's grateful for that. What's also disturbing is a recording inside the patrol car that caught another officer telling King African Americans have "violent tendencies." "It concerns me that one officer has this notion about a whole group of people, a whole community of people, and he just assumed that about me," King said. The police union in Austin, Texas has condemned the actions of both officers.